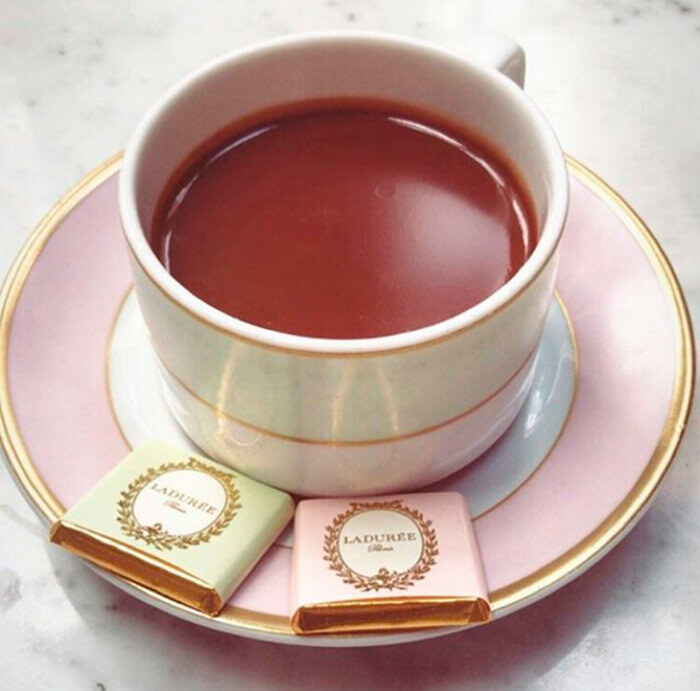 Ladurée: “Over the Moon”, a dairy free hazelnut chocolate made with Valrhona Caraibe 66%. 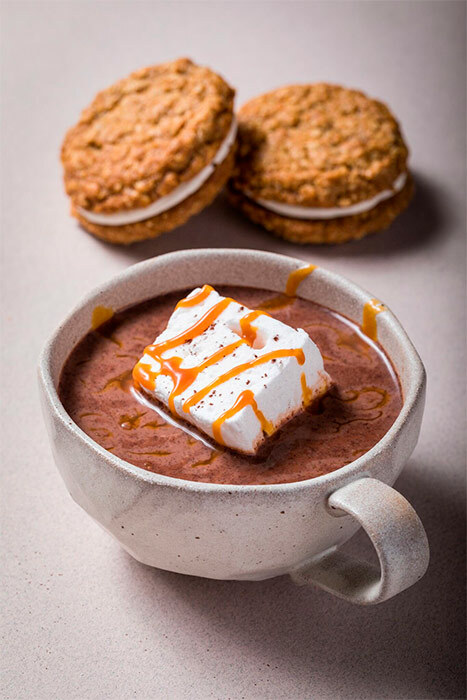 Dominique Ansel Kitchen: “Chef’s Hot Chocolate with Chocolate Whipped Cream”, with Valrhona Guanaja 70% and 62%. Patisserie Chanson: “Sesame Dark Chocolate”, made with Valrhona Manjari 64% and Bahibe 46% and an exclusive Japanese black sesame paste. 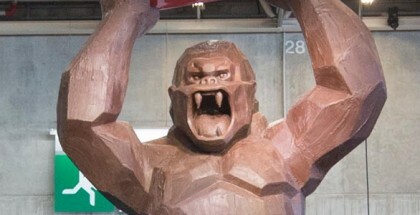 It is made by chef Macdonald, one of the authors of so good # 19. 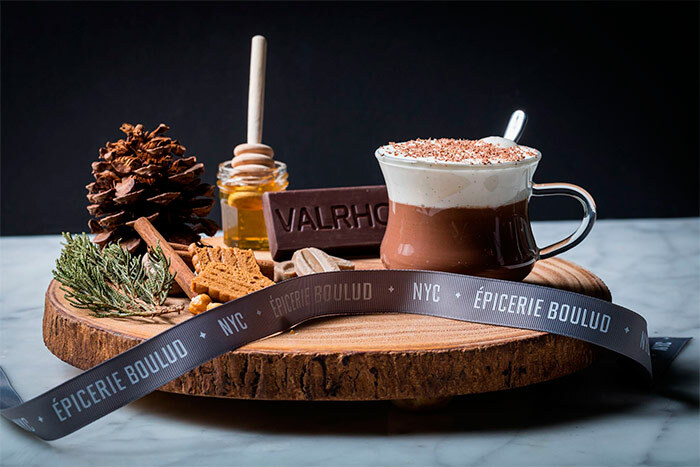 Daily Provisions: “Holiday Spirit”, with dairy products from Battenkill Valley and three types of Valrhona chocolate (Bahibe 46%, Guanaja 70%, and Cocoa Powder). Epicerie Boulud: “Orelys Speculos”, created with the latest blond chocolate from Valrhona, Orelys 35%, and the addition of exquisite Speculos. 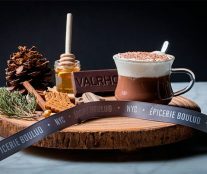 Fika NYC: “Vinter Karamell”, from three Valrhona hot chocolates Caramelia 36%, Guanaja 70%, and Cocoa Powder. 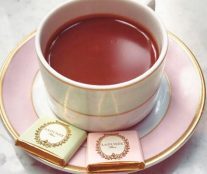 La Maison du Chocolat: “Guayaquil”, a mix of three Valrhona chocolates with a subtle note of Bourbon vanilla. 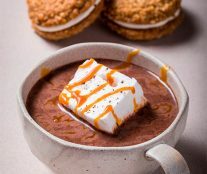 The event is an opportunity to discover exclusive recipes of artisanal hot chocolate and, incidentally, contribute to a charity project. For each cup sold, $ 0.50 will be donated to C-CAP‘s “Job Training Program,” a non-profit organization that helps underprivileged high school students explore culinary careers. 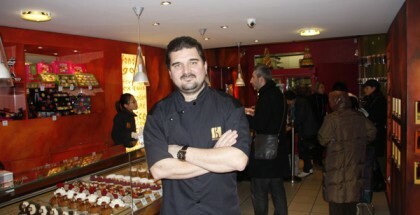 Check out the chocolate recipes that some of these patisseries will serve during the festival here.